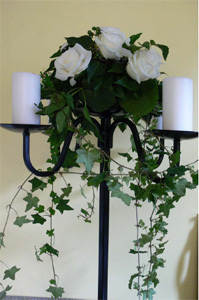 Stunning Wrought Iron Table top candelabras in mat black. 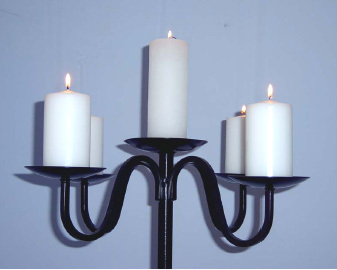 Each candelabra has four candle holders suitable for pillar candles or dinner candles, and a central candle holder which is suitable for a pillar candle or flower display. 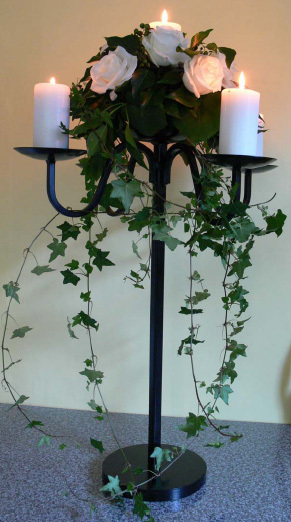 These candelabras are designed to create a stunning table display without impeding on diners view. Please contact us to discuss your requirements. Bulk hire discounts available.